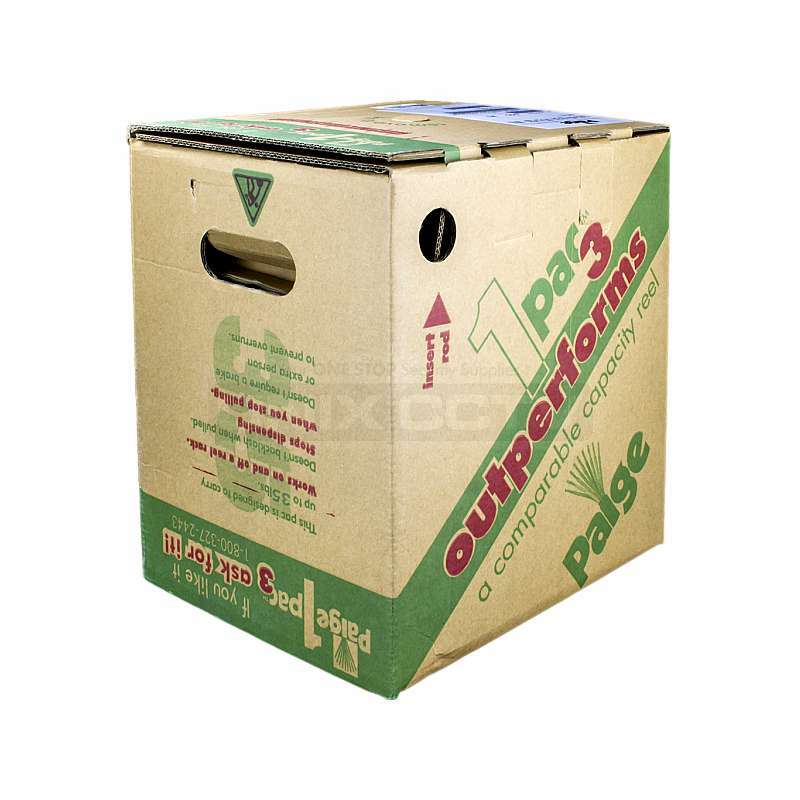 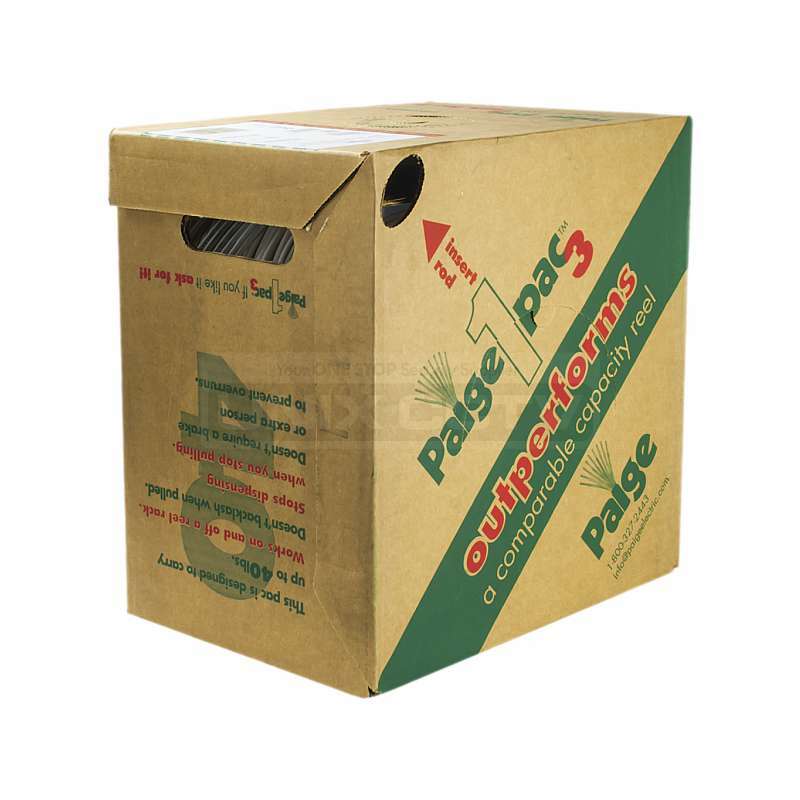 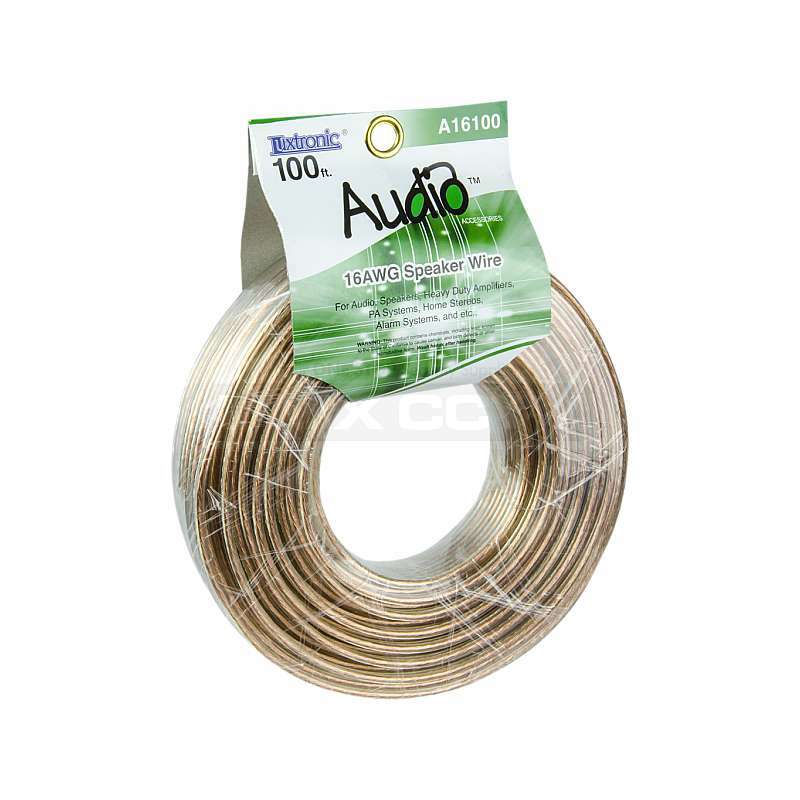 16 gauge speaker wire • 99% pure copper stranded conductors • Clear, flexible PVC jacket • Length – 50 ft. • Dimension – 4 D x 4 W x 8 H in. 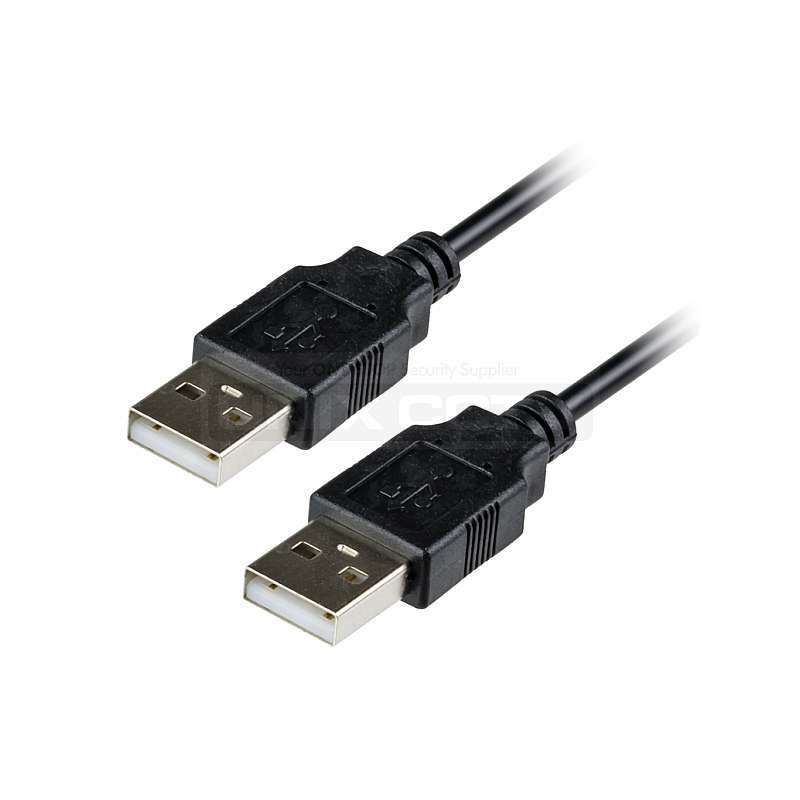 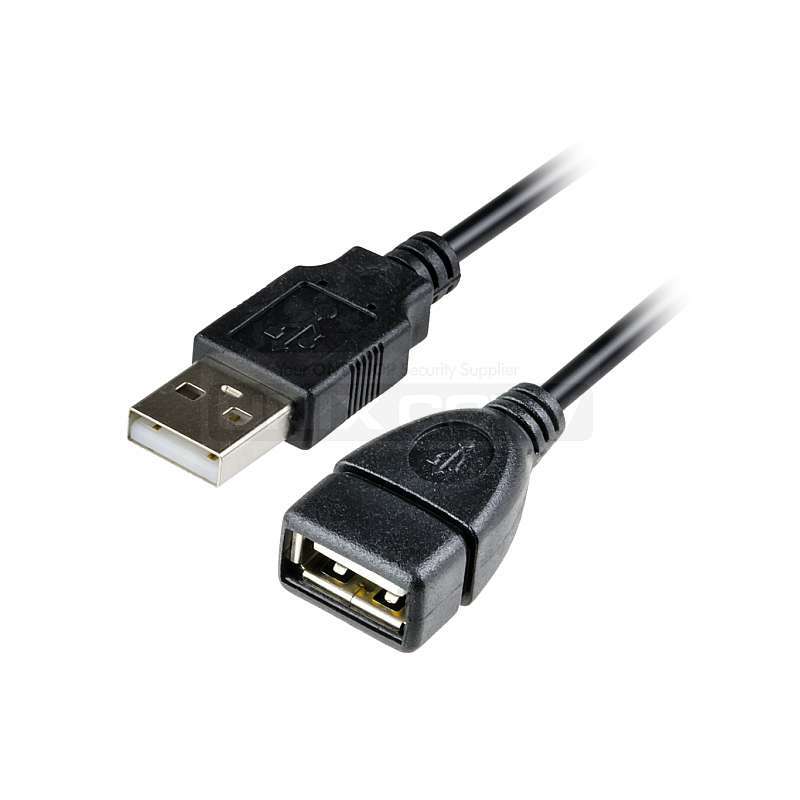 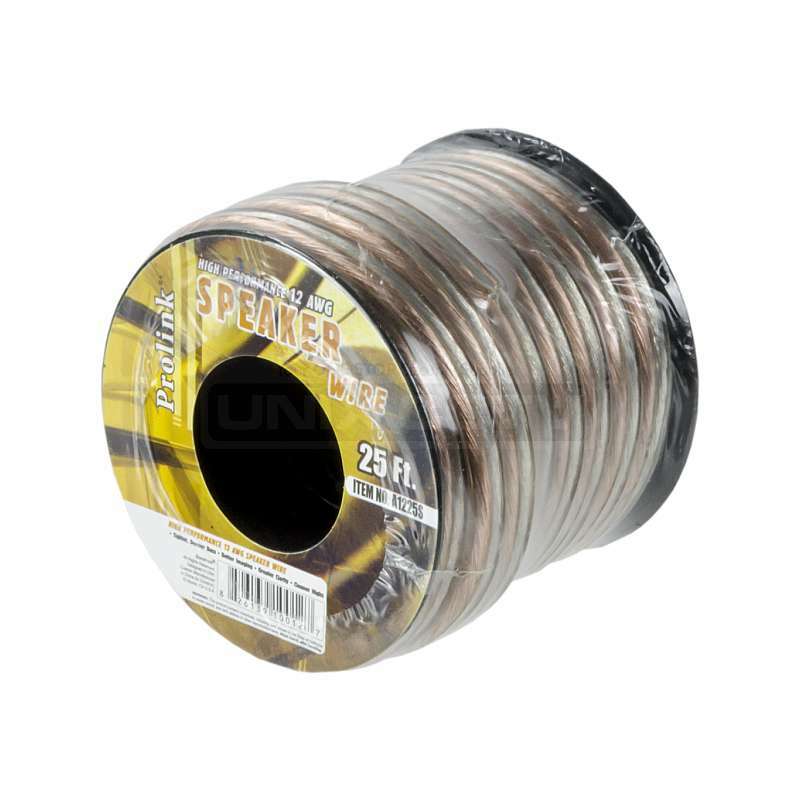 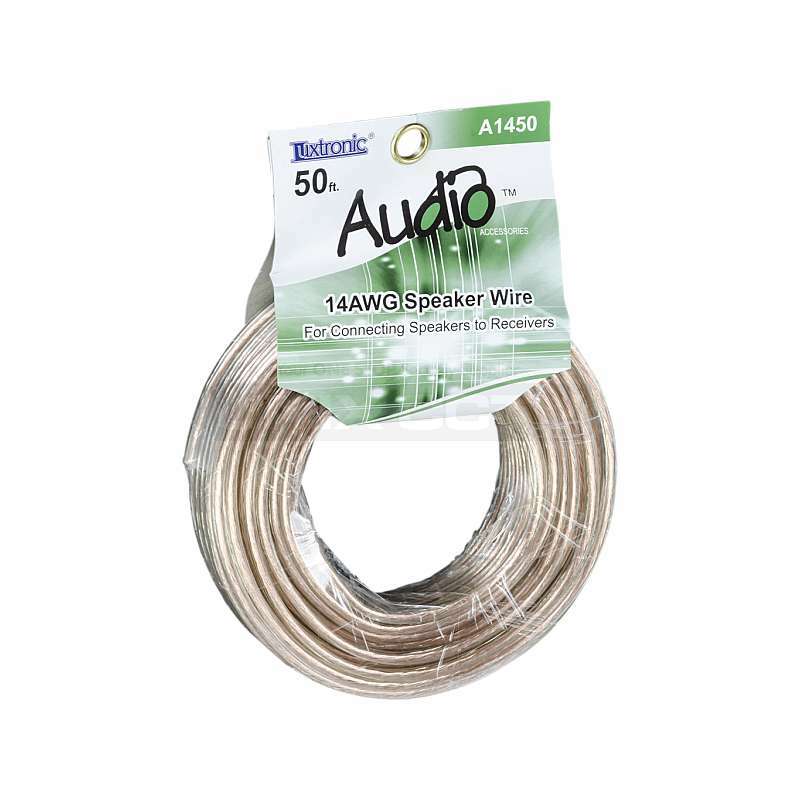 16 gauge speaker wire • 99% pure copper stranded conductors • Clear, flexible PVC jacket • Length – 25 ft. • Dimension – 4 D x 4 W x 8 H in. 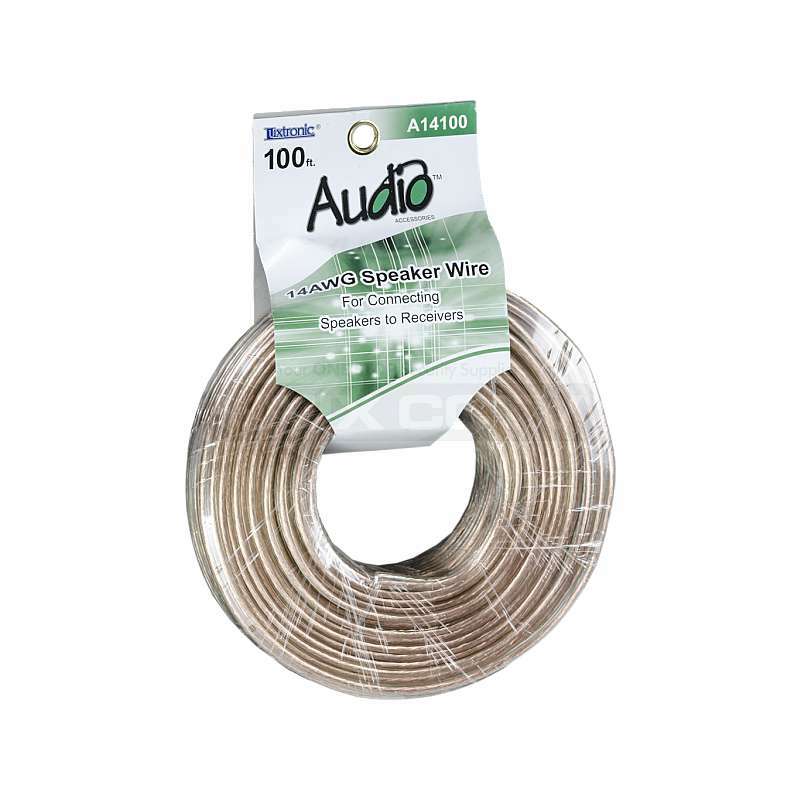 14 gauge speaker wire • 99% pure copper stranded conductors • Clear, flexible PVC jacket • Length – 50 ft. • Dimension – 2 D x 5 W x 10 H in. 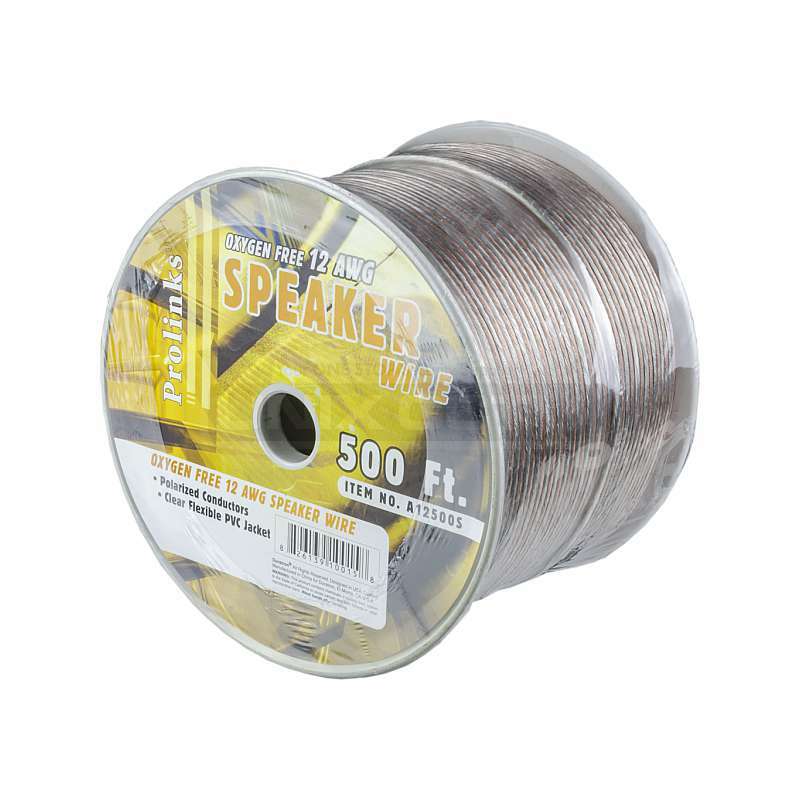 14 gauge speaker wire • 99% pure copper stranded conductors • Clear, flexible PVC jacket • Length – 25 ft. • Dimension – 2 D x 5 W x 10 H in. 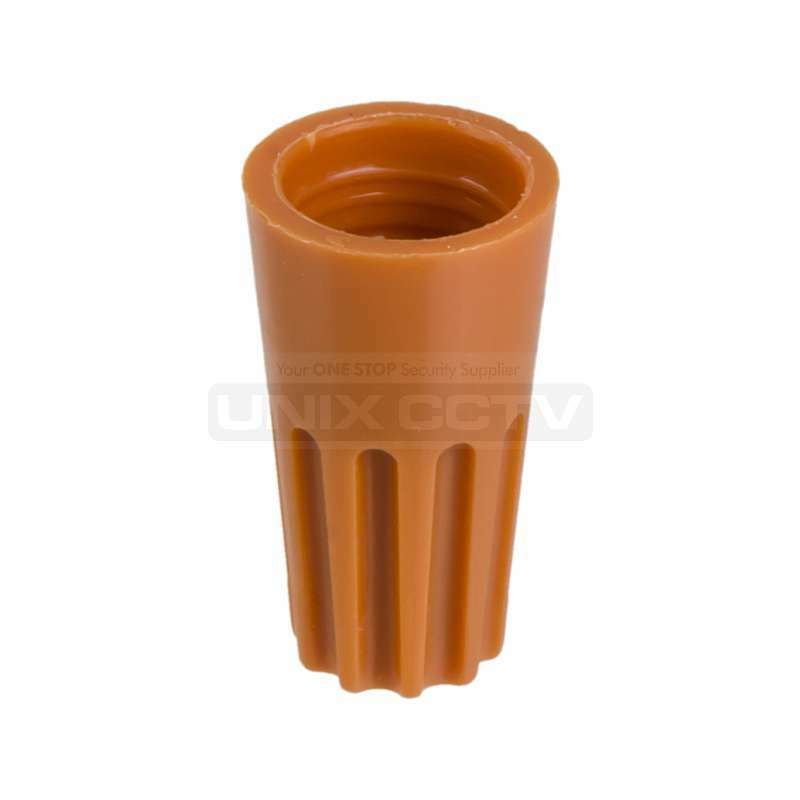 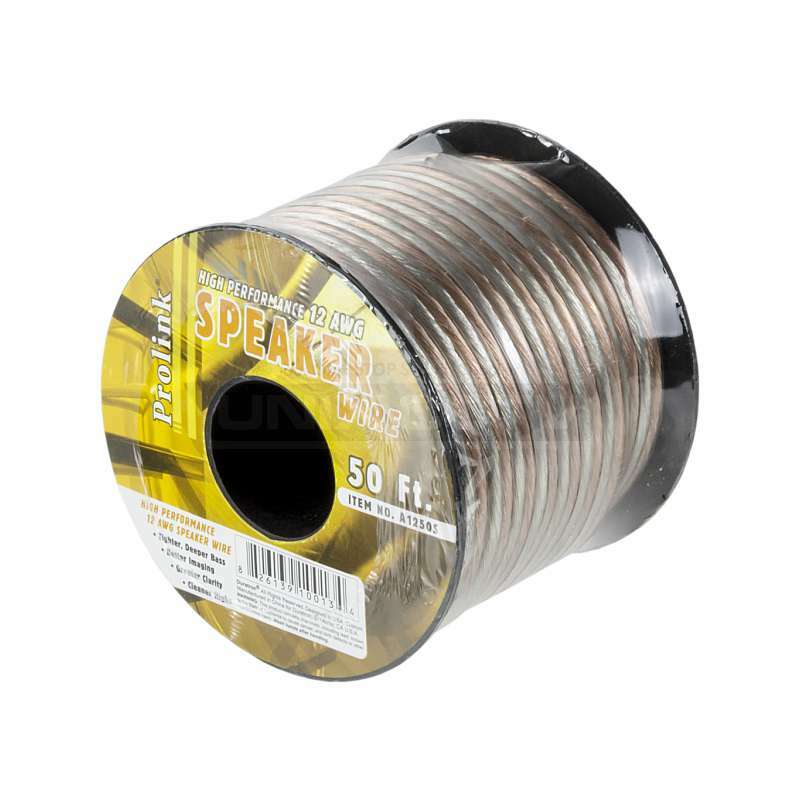 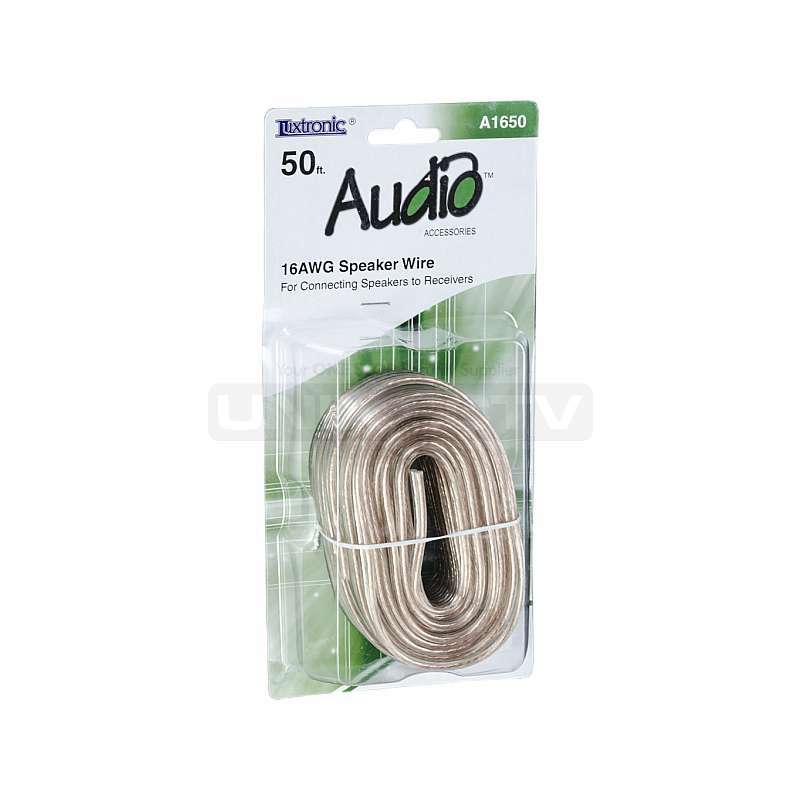 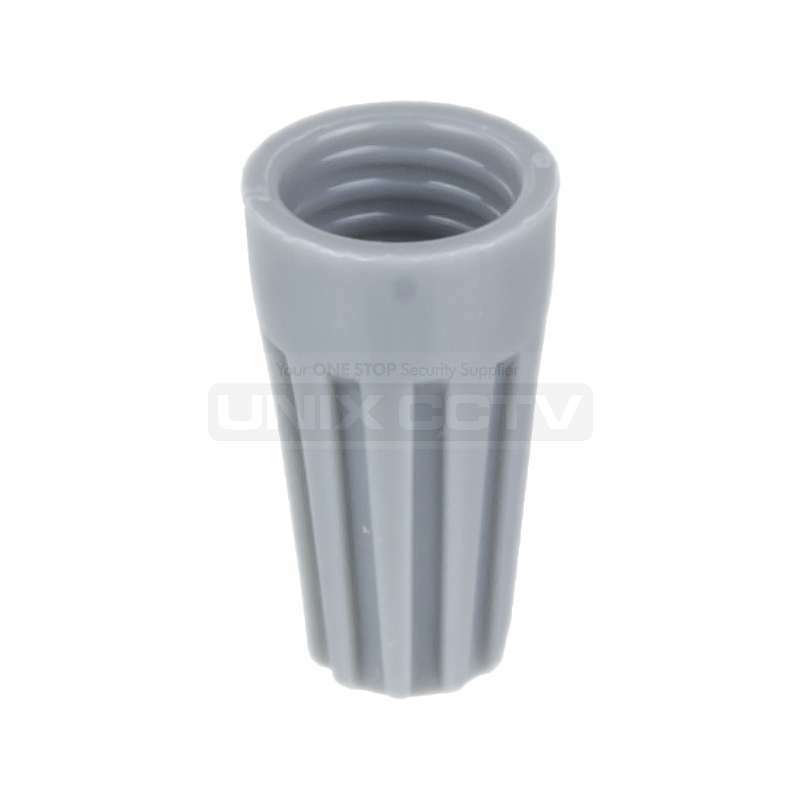 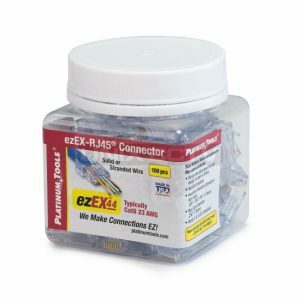 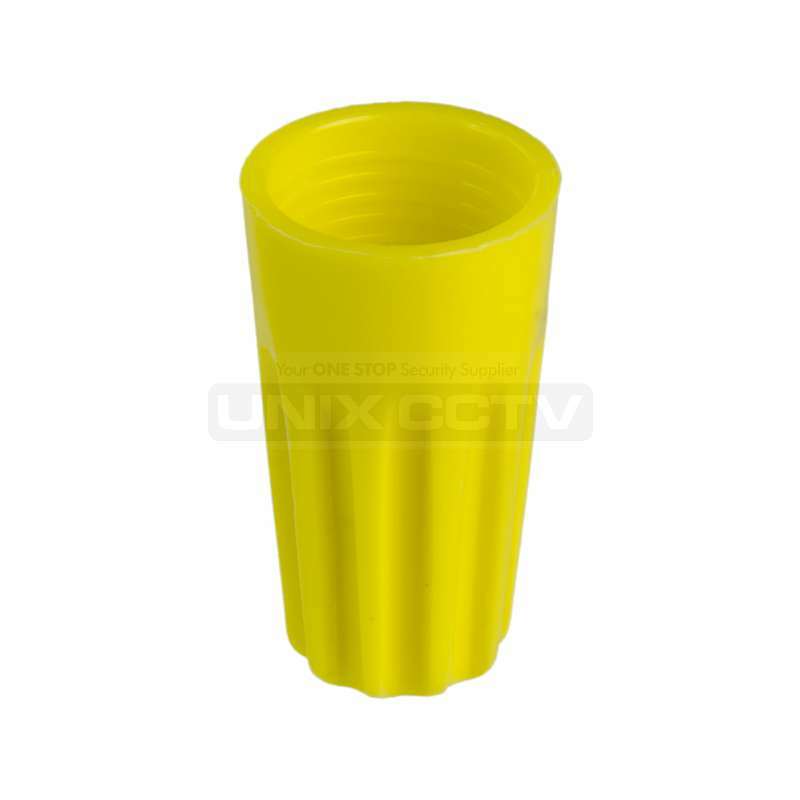 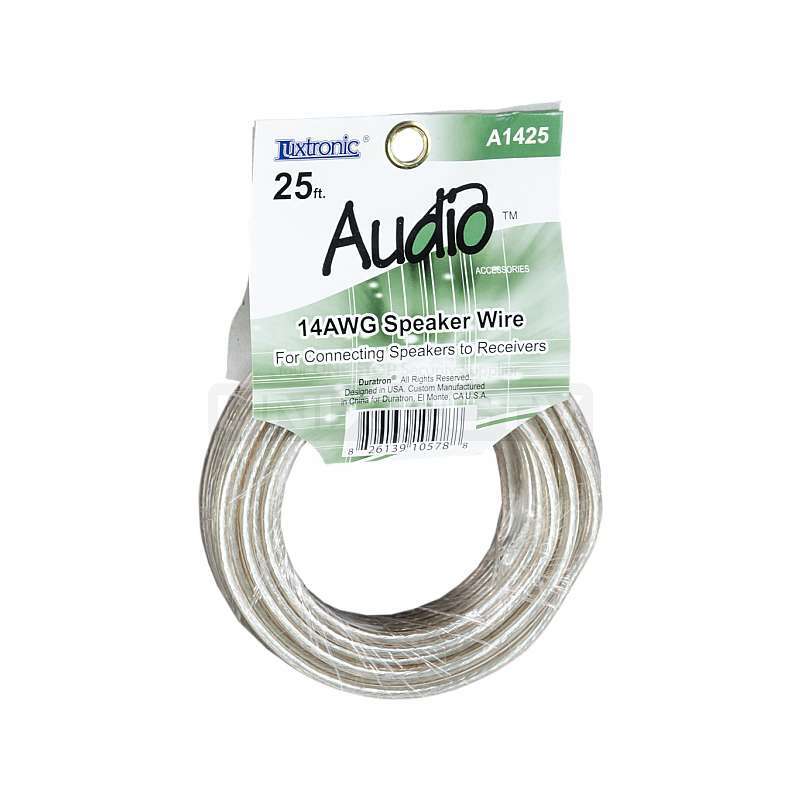 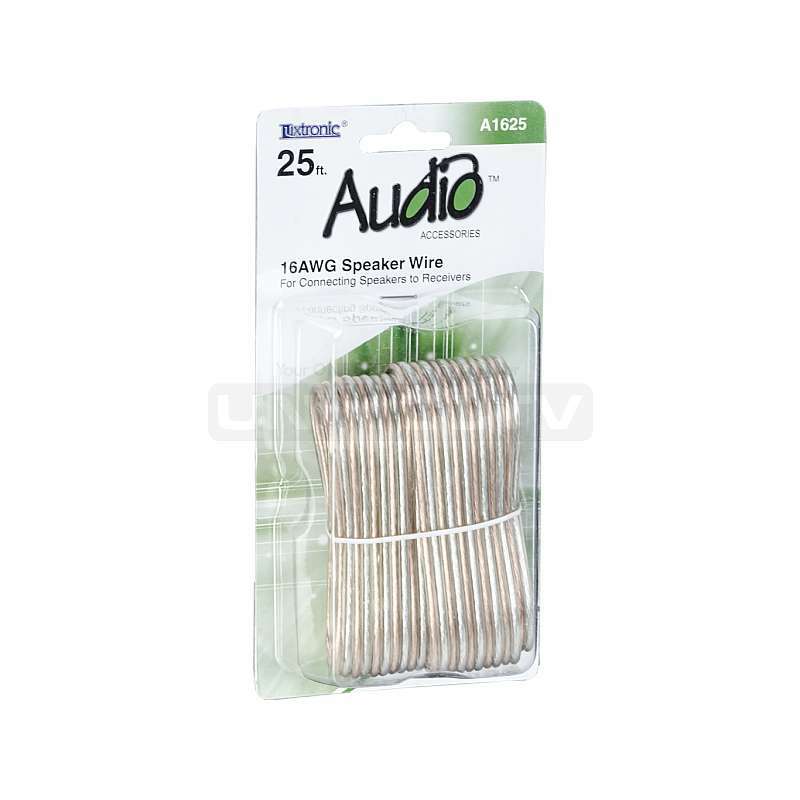 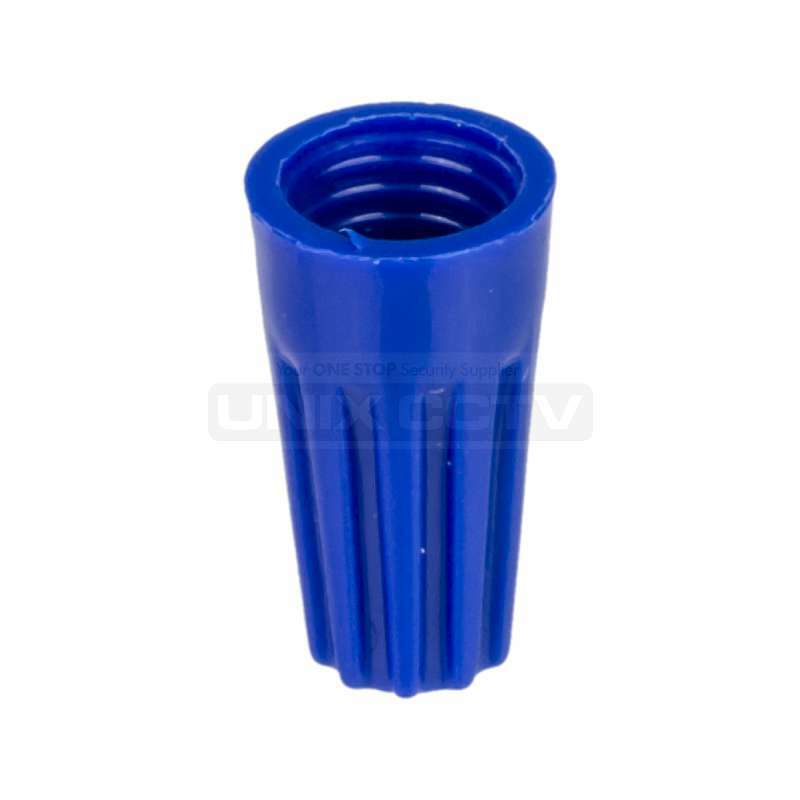 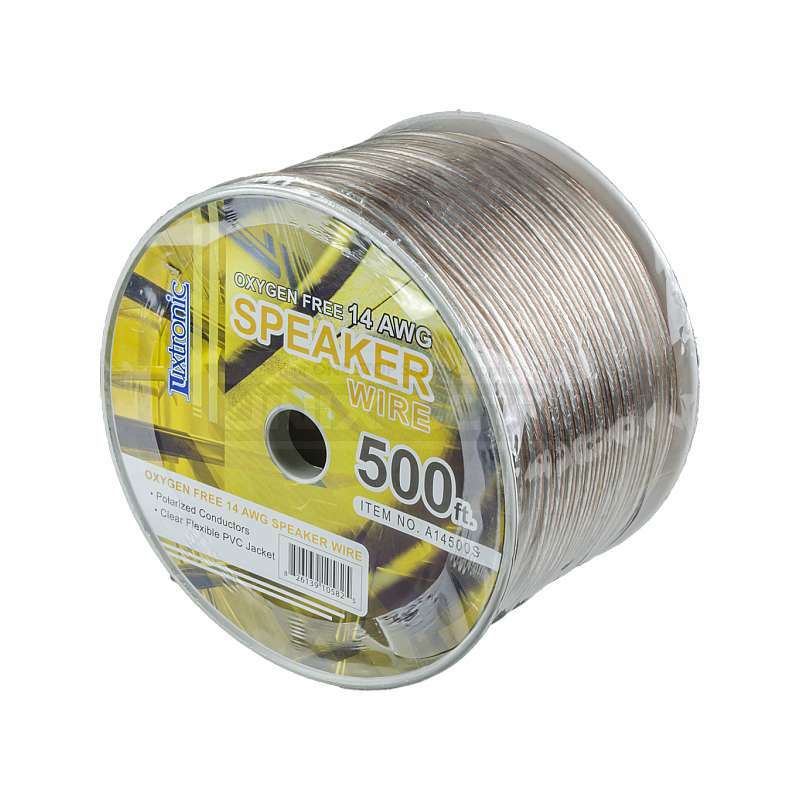 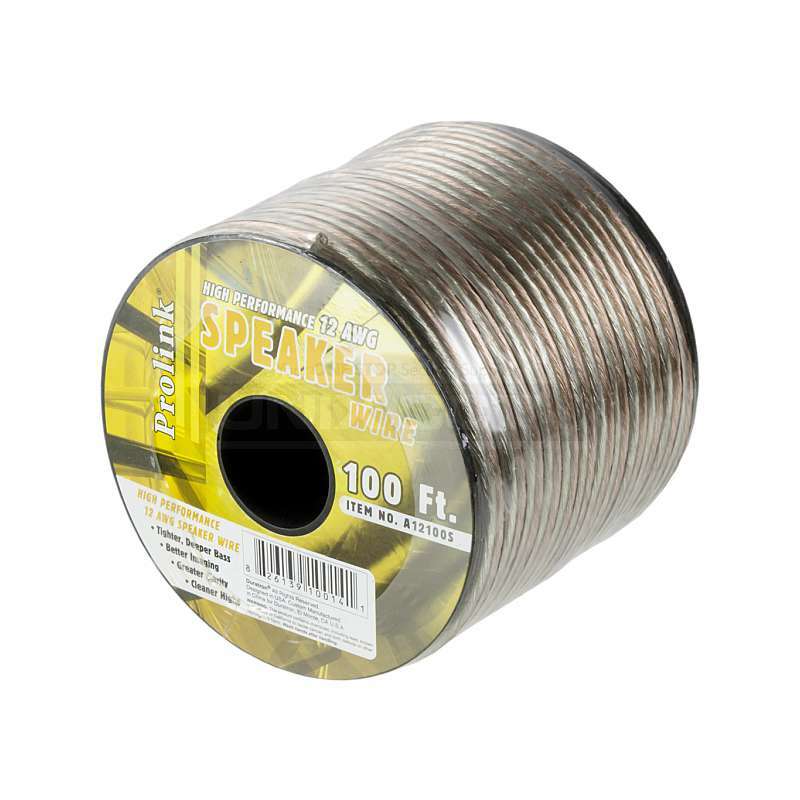 16 gauge speaker wire • Clear, flexible PVC jacket • Length – 100 ft.